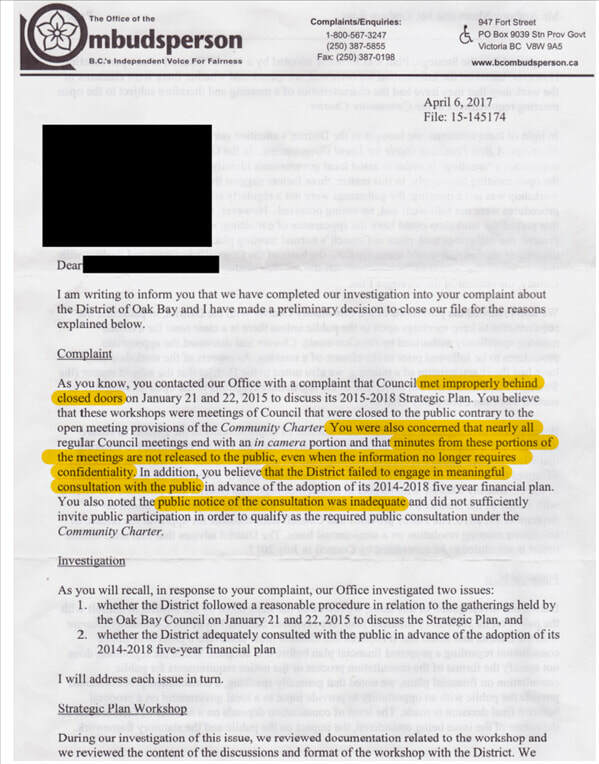 Right Click on page - select "save image as"
The District of Oak Bay investigation by the Office of the BC Ombudsperson found that the Municipality held closed Council meetings that did not comply with Provincial Legislation. The Community Charter, section 90 provides a list of exempted meetings that Council can hold out of public view. 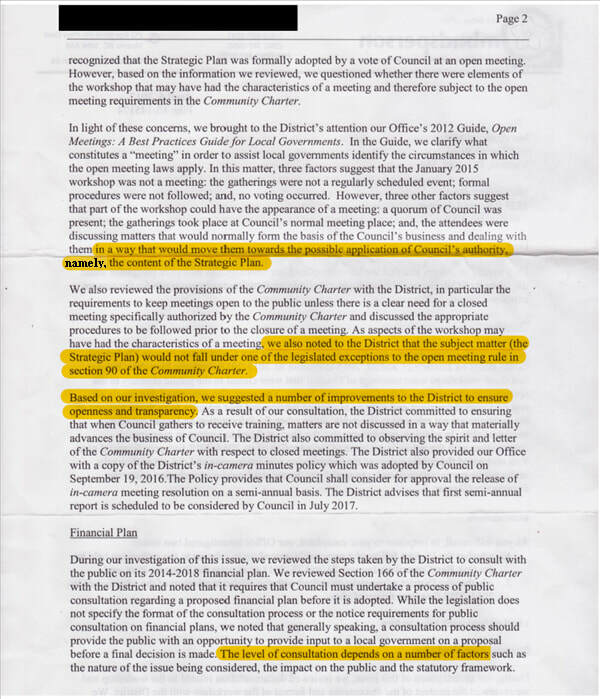 A closed meeting to set Council's priorities for the Community was not one of them. 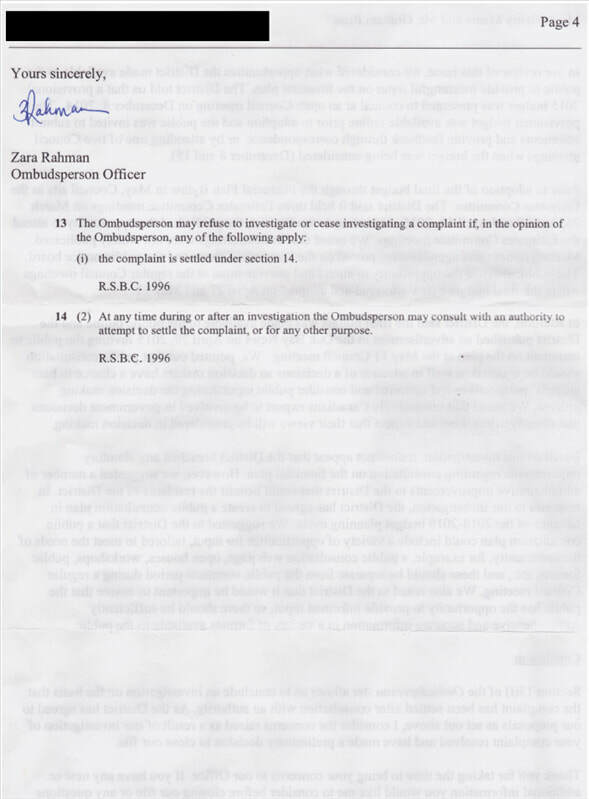 The Ombudsperson Report found that the District‘s transparency and financial practices met the barest minimal standards (see sample Appendix #1) and was not close to meeting the Ombudsperson’s recommended guidelines and this was not good enough. 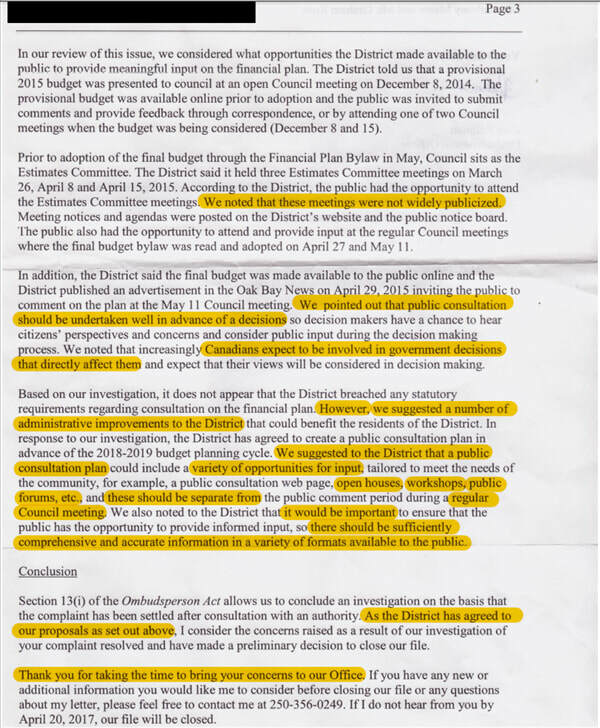 What was of most concern to the complainant was the Ombudsperson indicated he was satisfied because the District agreed to the proposals set out as a result of the investigation, however, the District failed to hold any of the Ombudsperson's recommended 2018 Public Budget meetings. 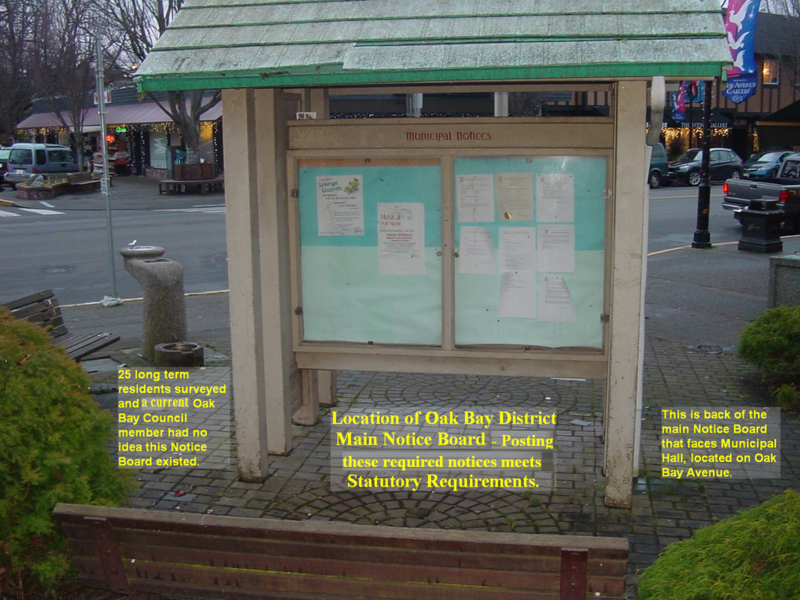 The District did conduct a “Budget Simulator Survey in 2018 and the results produced a scathing response from residents on the state of the infrastructure, the zoning issues and the Districts financial shortcomings. However, it is assumed that this is the reason these findings were poorly publicized. 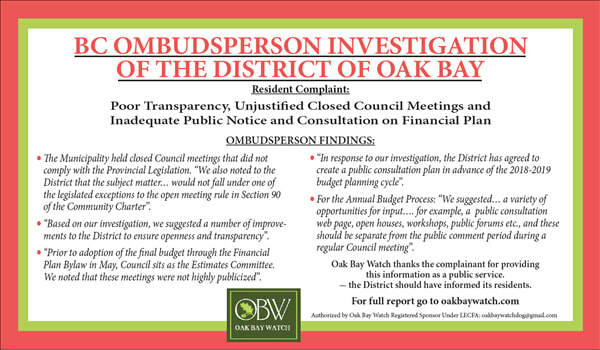 If you do not wish to read the whole report Oak Bay Watch has highlighted the concerns the Ombudsperson refers to as a result of the investigation. (Right Click on page - select "save image as"